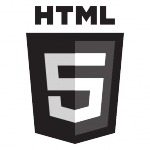 From the first day I realized the possibilities that bring html5 technology. especially full duplex networking (WebSockets), canvas2d and WebGL. I'd never worked professionally programming that was not html5. I loved VB6. But there are no jobs in Serbia for native apps. Many avoid using js so they use jq and boostrap and 91% .I want a comprehensive framework with the full range of possibilities. I want to strictly work on all modern devices. I heard comments that the WebSocket catty move. I guess it was about in the context of security . I dont like trouble working with other frameworks (needs learning).Best way for me was my own framework. Concept: For now it is possible only one Program . One program have a Modules (Arrays) for draw and update method very simple. One type of object can be pushed to the modules - game_object . On game object can be attached component like webcam , pencil collision etc. You can use custom draw also. Last update for API : API doc 1.0 ON_PAGE_EDITOR : If you use editor.js to visual create game object method , you must start ***node build_from_editor_to_visual_js_file.js*** on the end of work.This tool will create visual.js in folder starter/ with all your game object was created in editor style . My last update : Visual source editor win gui https://www.youtube.com/watch?v=kxUBPDhB-3I Visual Editor : Direct script edit .